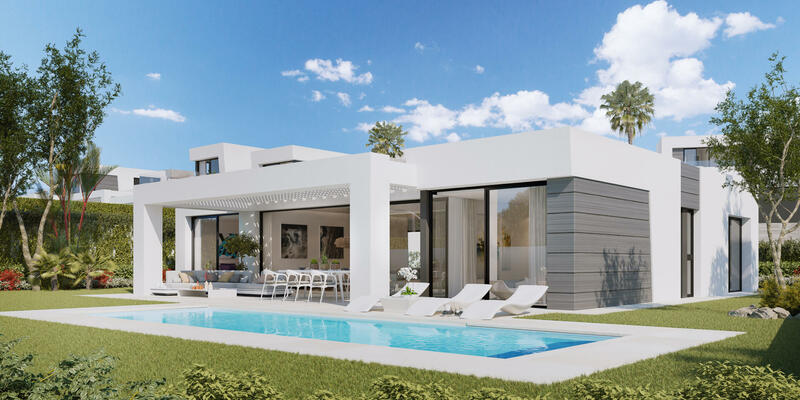 Caboroyale is a brand new development of 21 modern beautifully styled villas, in an elegant residential area east of Marbella. 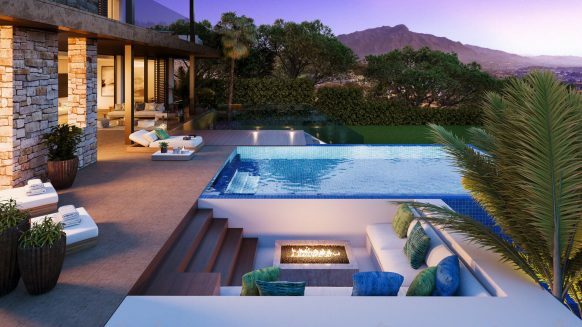 Just 400 metres from the unspoilt beaches in Cabopino Marbella. 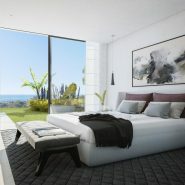 Set in peaceful surroundings Caboroyale offers three distinct villa styles with 3 or 4 bedrooms, designed to suit different preferences. All featuring top quality materials, finishing and architectural features. 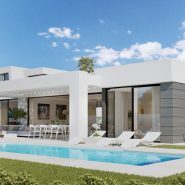 A private pool with saline purification is set in beautifully designed gardens with views over the Mediterranean, as every villa has lovely coastal and stunning sea views. 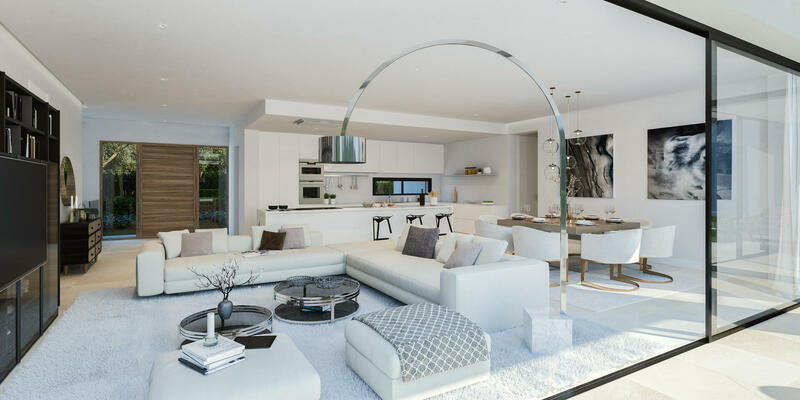 The ground floor living areas follow an open-plan distribution that similarly takes in natural light and views, with large window frames with security glass. Kitchens are fitted with high-end siemans appliances and silestone work surfaces. Bathrooms are finished with Grohe and Villeroy & Boch furnishings. Basements are fully finished and included 2 rooms for multi use, all with natural light. Private garages accomadating a minimum of 2 cars, complete the range of amenities that also include many stylish design features throughout. 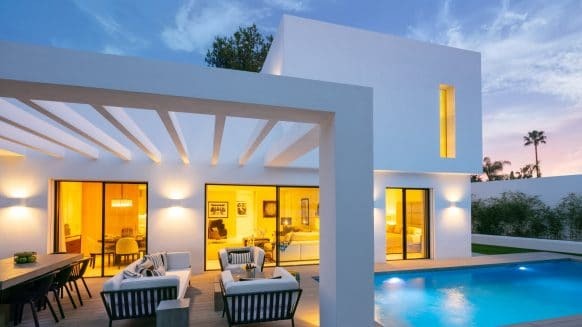 This villa is a TYPE C with 3 bedrooms and 3 bathrooms. This is a single storey villa plus basement. 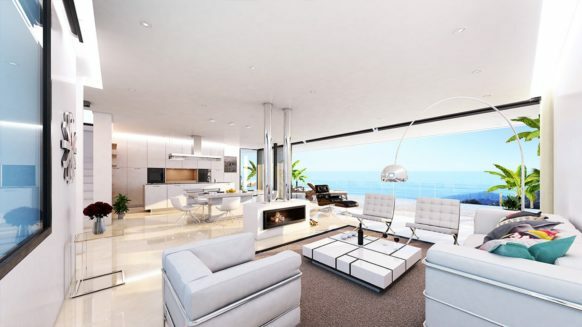 An open plan living area with dining and kitchen zones, 3 en-suite bedrooms with adjoining spacious terrace and beautiful sea views. The basement is large and filled with natural light, has parking for 3 to 4 cars, a gym, a storage and a laundry room. Additional is a multi-purpose room with en-suite shower. 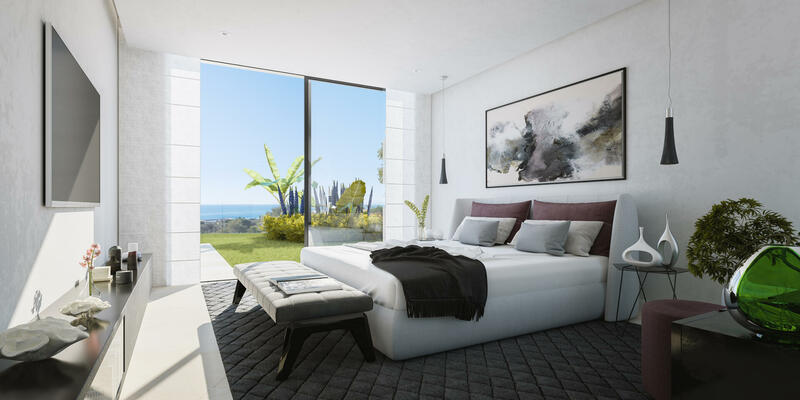 Form your Caboroyale villa it’s just a few minutes’ walk to the marina of Cabopino and the commercial centre of Calahonda with its abundance of shops, bars, supermarkets and all local amenities. 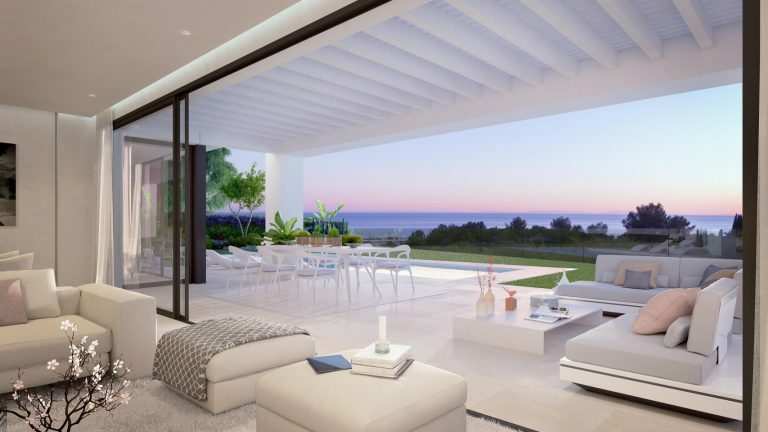 Caboroyale finds itself within walking distance of the pathways leading through the protected coastal pine and dune landscape of Artola. 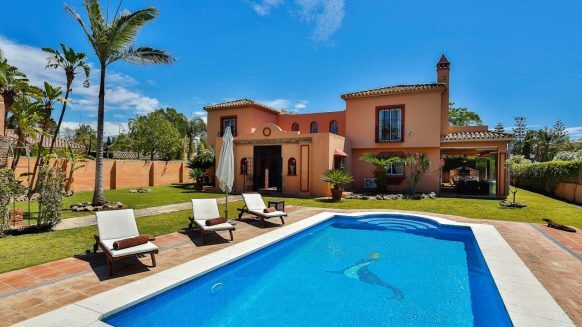 Caboroyale is just 15 minutes to the centre of marbella, 15 minutes to fuengirola. Málaga’s international airport is just 30 minutes away, with the lovely city itself ten minutes further. 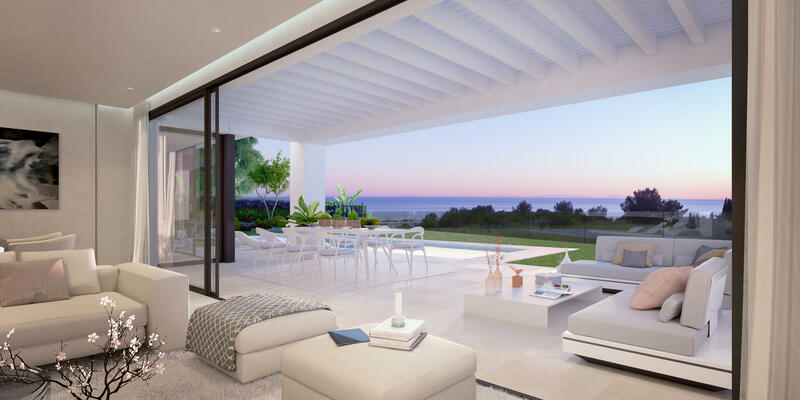 Caboroyale offers residents the ultimate setting in which to enjoy the best of nature and the ulimate marbella lifestyle. 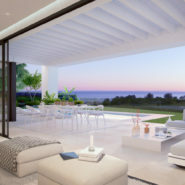 Intressted in this exciting new villa community in one of the most appealing locations between Mijas and Marbella centre? Please contact us, for more information and an on-site viewing!